Adjustable pushrod conversion kits for 1984-' 99 HD® big twin models. Include four adjustable steel pushrods. 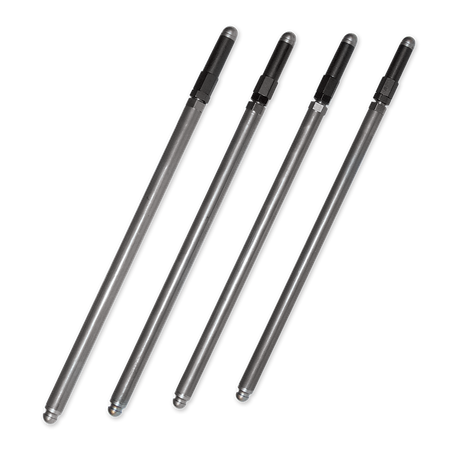 These pushrods can be used in place of the stock, non-adjustable pushrods in stock as well as high-performance applications. Compatible with hydraulic and solid lifters.